Reiki (pronounced ray-kee) is an ancient healing practice from Japan. The first character, Rei, means holy, spirit, gift or sacred. The second, Ki, is translated as energy. Ki, the “universal life force energy,” is equivalent to the Chinese Chi or Qi. 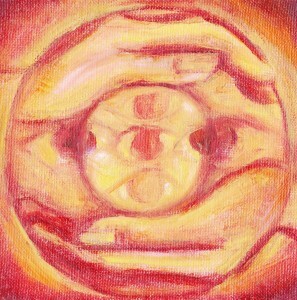 Using light touch, the energy moves through the practitioner and is guided to the recipient. Reiki is an excellent treatment for relaxation, reduction of stress, and an aid in the healing of illness, injury or emotional distress–– among many other applications. A treatment can feel as if a wonderful, glowing radiance is flowing within and around you. Many people treated with Reiki have reported miraculous results. Reiki can be administered on a thick mat placed on the floor, or on a massage table. Reiki healing sessions can be booked in North Wales, Bryn Mawr or a location closer to you. Rachel also trains Reiki practitioners. Please check the calendar for upcoming certification courses.